For Five Things Friday this week I wanted to write about Midlife Bloggers - I couldn't even begin to cover all the amazing midlife bloggers out there (especially in a "five things" post!) These women are rocking the blogging world and if you're not reading them then I suggest you head over the the Midlife Boulevard website or their facebook page and start catching up on these bloggers and their fabulous-ness! 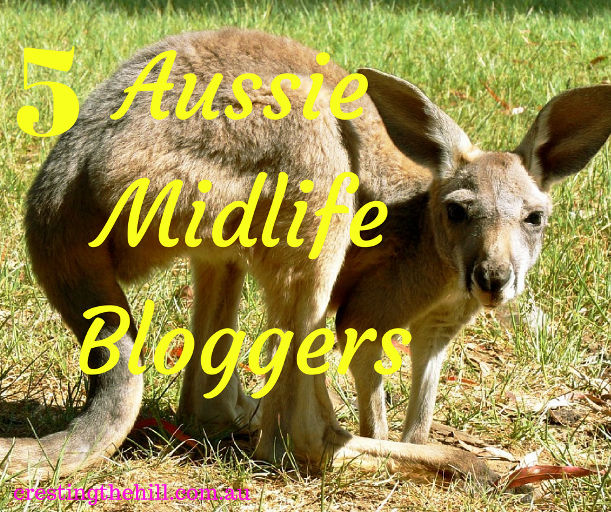 I settled my dilemma by choosing five Australian midlife bloggers - there aren't all that many of us out there that I'm aware of so I even included myself in the list so that I had five - if there's any you know about, add a link to them in the comments and I can stretch the list out further. 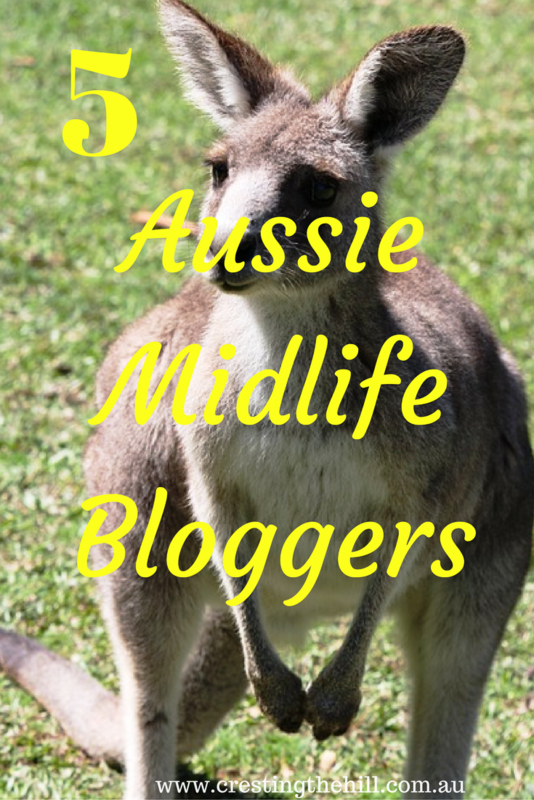 My main focus for today is on Midlife Bloggers because that's who interest me and that's who I love to read - and an Australian flavour is an added bonus (IMHO) so if you haven't caught up with these ladies, grab a cuppa and click on the links and say hi from me while you're there! I mainly write about how great this stage of life is. I'm a huge fan of the empty nest (my children refer to me as a mother wolf - for kicking them out of the den!) and I love where I am in life at this moment in time. I tend to share the lessons I've learned and my journey towards this point - because I want everyone to find the happiness that I'm experiencing. Sue is a Queenslander (across the other side of the country to me) and my blogging kindred spirit. The main difference is that she is super fit and healthy (I'm working on it!) and she shares fun ways to keep fit, healthy and active. She also throws in a recipe or two and other interesting things that she comes across. Kathleen writes really informative stuff about blogging. She is an expert on Alexa and Google Analytics and all things technical. I find her inspirational in her ability to keep up to date with all the background stuff in growing a blog. She also hosts an amazing linky party on Fridays called the Blogger's Pit Stop which I love joining each week. Janet writes at Middle Aged Mama about fashion, life as a mum, her love of cats (she and I connect big time on that one!) and all sorts of interesting things that happen in her daily life. She also won her local business woman of the year award so you can tell that she must know what she's talking about! I only discovered Kathy's blog recently (through Midlife Mama's blog) and she is an inspiration for living life on your own terms. She writes about her passion for travelling and photographing brilliant destinations around Australia and overseas, and judging by her post on being a semi-retiree, she seems to have it all. Plus she co-hosts a linky too! Thank you Leanne, we all love you and your writing inspires us as we follow your journey cresting the hill where it only gets better. Thanks Leanne for including Sizzling Towards 60. We are kindred spirits and I always love your writing. Plus we are both ABBA fans so that is definitely a bonus! Ooooo some new blogs here for me to check out - and thank you so much for including me in your roundup, I feel very honoured! I am new here glad to have found your blog. Midlife, Journey Cresting hill life awesome! You Auusies are definitely in the thick of things.! Glad to meet some new bloggers. I didn't realize there were so few of us in the midlife blogging arena down under - but I love them all! You all are awesome! I love all of your blogs. So glad I me you guys in The Women of Midlife Group. I love being introduced to new bloggers! It sounds like you have a great group of midlife bloggers in Australia! Thanks for showing. Variety of approaches to midlife. All of them positive. That's what I love about these girls (and midlife bloggers in general) it's all about being positive and proactive. Thanks for introducing some new awesome blogs 😊 I love 'meeting' new people in the www . blogosphere. I've come to know 3 of your 5 already- clearly your Aussies have some good things going on! I enjoy interactions with those of you way across the pond! I love Janet's Middle Aged Mama blog. Some of the others are new to me. Iveing middle aged myself I'll have to check them out! Janet is so upbeat and proactive and I love all the connections she has in the Aussie blogosphere! 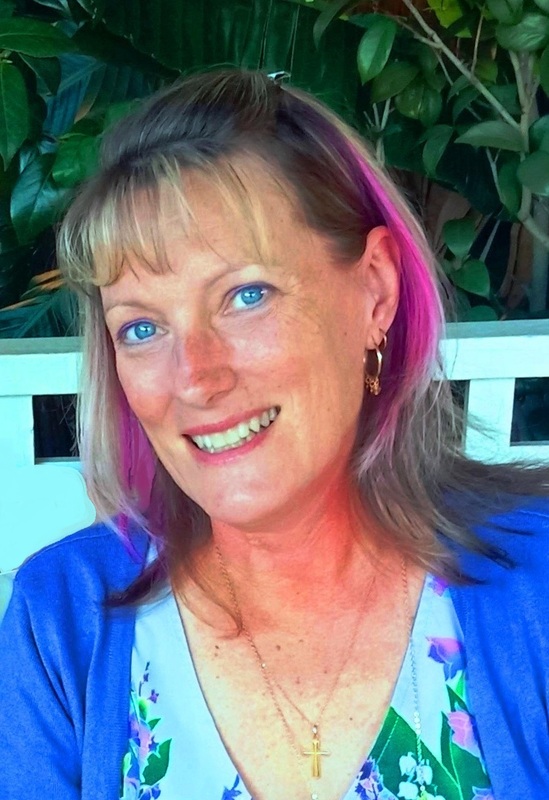 I recommended your blog to a blogger who wants to enter the midlife niche. I've heard of most of these. Thank you for bringing your post to the Blogger's Pit Stop last week. That's lovely - thank you so much Janice :) And you know I love the Pit Stop linky! Congratulations this post was among the most clicked on The Bloggers Pit Stop. Be looking for a feature on Friday. that's fabulous Kathleen - it shows people are interested in the Down Under bloggers! HAVE ALL YOUR WISHES COME TRUE?